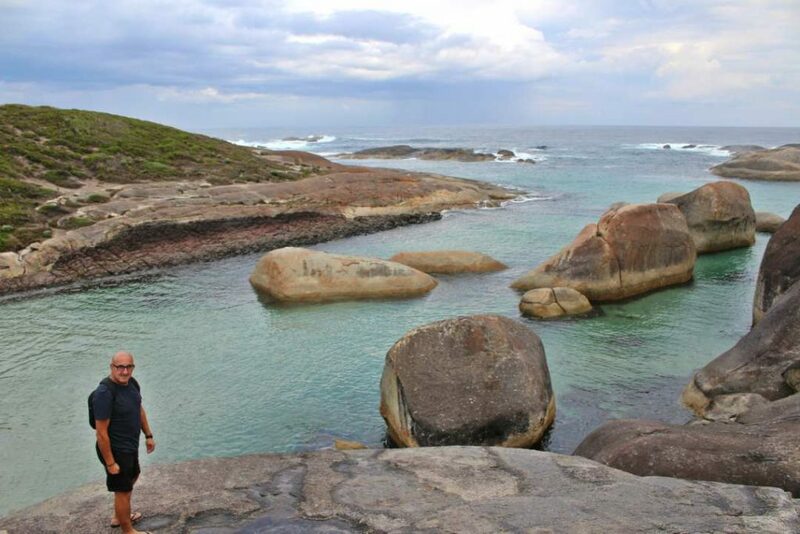 Greens Pool and Elephant Rocks are two very special beaches located in an area of Western Australia known as the Rainbow Coast. That name alone should have been a giveaway that this was going to be something special. After a very, wet long drive from Margaret River taking the best part of a day we reached the turnoff to Williams Bay National Park. We toyed with the idea of driving right on by and coming back another day but the forecast was similar for our entire time in the region so we decided to push ahead and see if the rain would break for us. 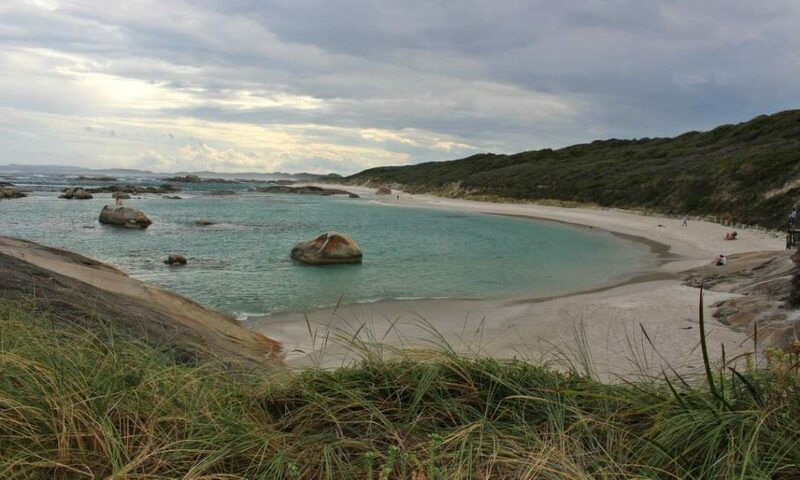 Williams Bay National Park is located 15km from the small south-west town of Denmark. I must be honest, we barely noticed anything in Denmark, and I regretted not allowing enough time to explore here, but we only had a week in the region and the beauty of the area called for some tough decisions. The park made our travel radar after our daughter visited a few years back and returned with photos of stunning beaches that looked more like they belonged in Queensland than Western Australia. Even with these images in our minds, and despite the lousy weather, we were lost for words when we finally arrived. The first view is beautiful but nothing on what is coming so keep walking. You can see the rain in the clouds at the centre of the photo above. Luckily it stopped for the whole time we were there. In some way, I think the cloudy skies added to the otherworld feel of the place. I had read that people reported Elephant Cove had a unique feeling and I am not sure if this is why we felt something, but it did make you want just to take it all in. Moving away was hard. 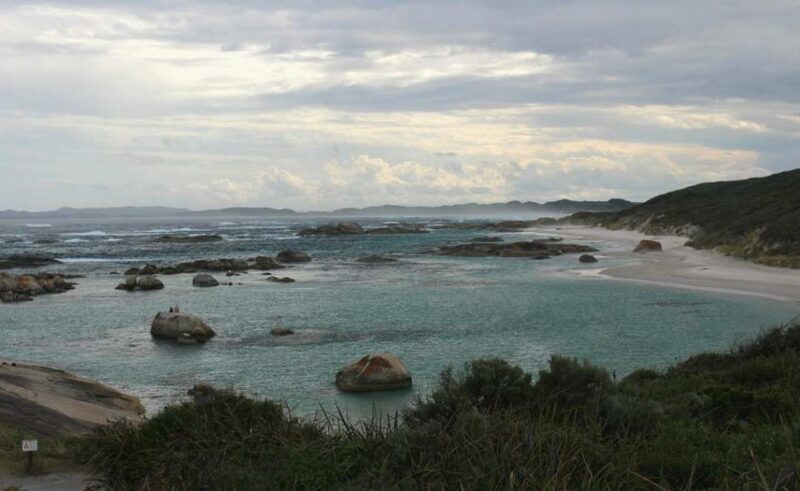 The cove is rumoured to have once been a popular place for local indigenous women to give birth so perhaps all the emotion of new life has something to do with it. Take the stairs down to the beach and walk among the ‘elephants’ if it is warm you might want to swim – I was desperate to but the Southern Ocean is cold at the best of times, and today it was freezing. If the tide is in you may get a bit wet walking between the rocks to the beach, but otherwise, it’s a very easy walk. 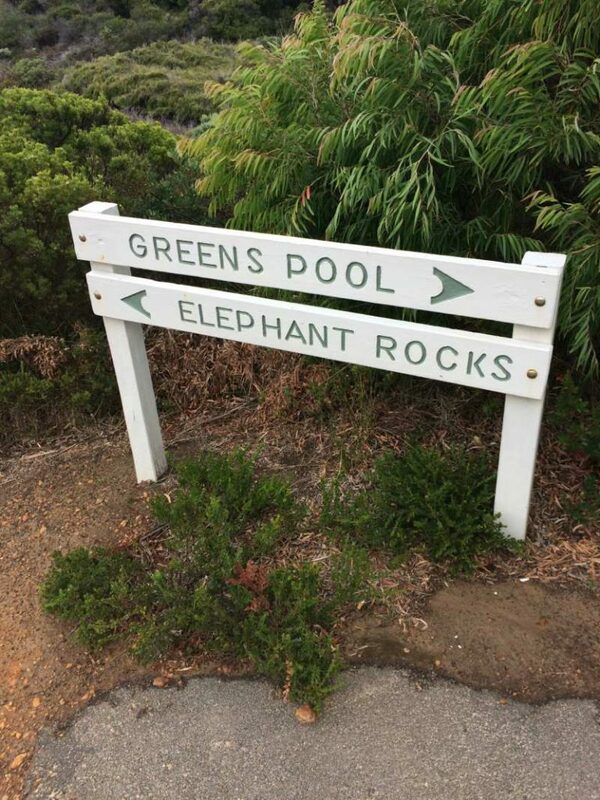 From Elephant Rocks we were able to walk along the coast to Greens Pool. The walk along the rocks was very straightforward but if you prefer you can retrace your steps back to the sign at the beginning of the track. 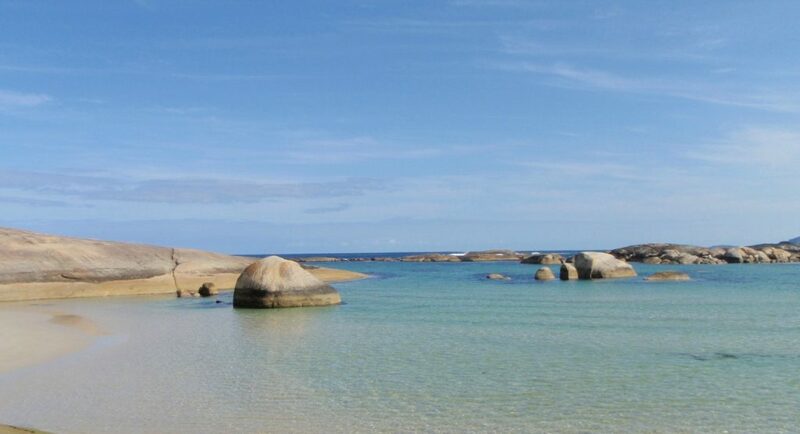 Greens Pool beach provides a peaceful, protected area perfect for a lazy day of swimming and daydreaming – if the weather is good, that is. In summer apparently, this beach draws large crowds, but today there were just a couple of brave souls. 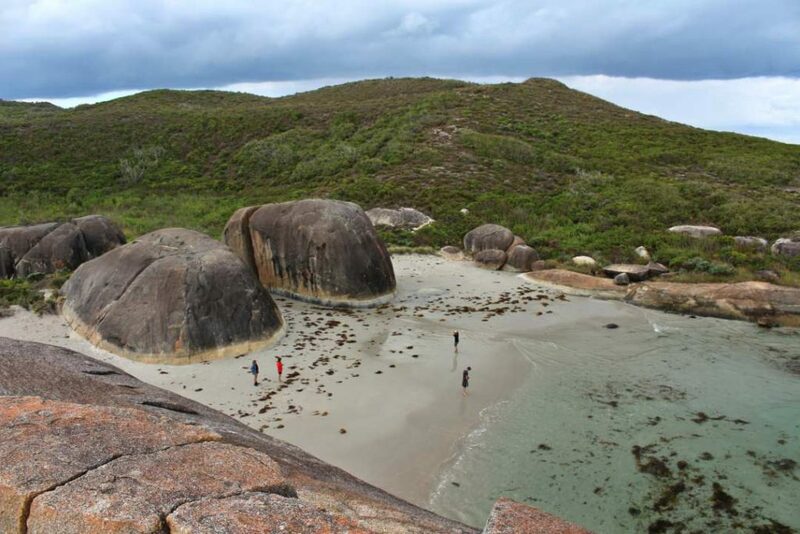 These boulders and the ‘elephants’ are made of metamorphic rock that is commonly found on beaches in the Southern Ocean like those on Tasmania’s east coast and along the southern coast of New Zealand’s South Island. 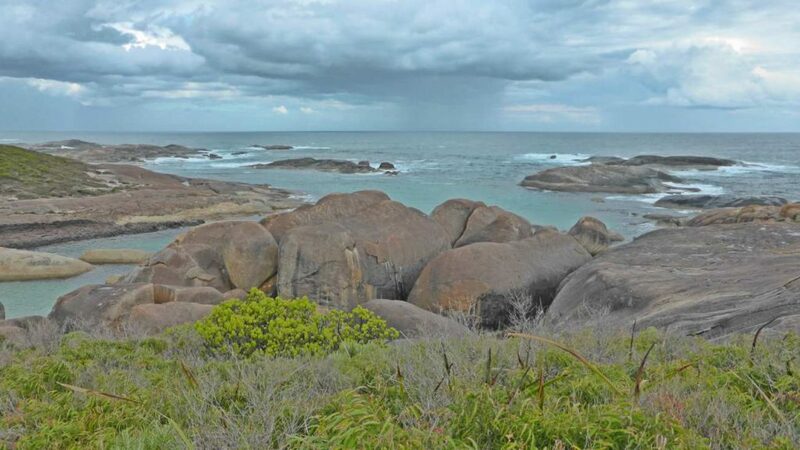 Besides showing you just how beautiful the Rainbow Coast region of Western Australia is I wanted to highlight that even in rainy, miserable-looking weather this coastline has plenty to offer, push on and explore rain, hail or shine! 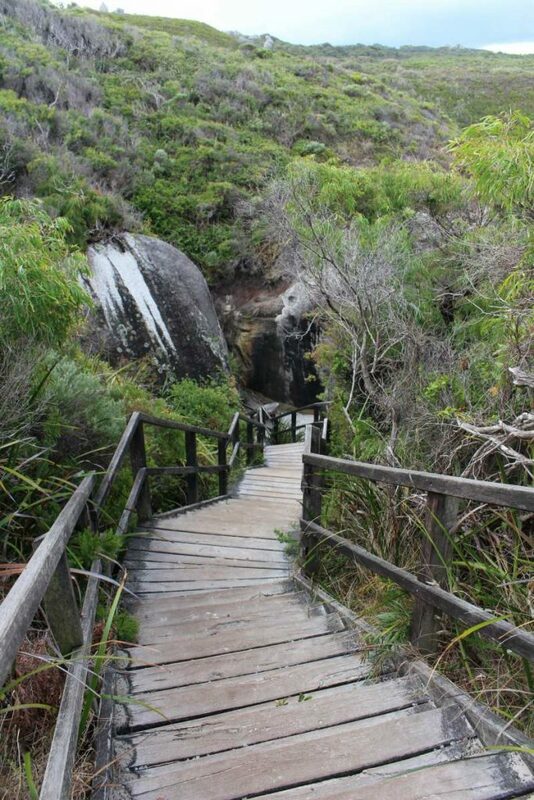 If you have more time than we did, there are some great walks in the park for you to explore and also the lovely sounding Waterfall Beach. When: No boom gates on the road we took and no hours on their website so I guess it is always open although I imagine they patrol for illegal camping. Cost: We did not pass any pay stations, so I assume entry is free.